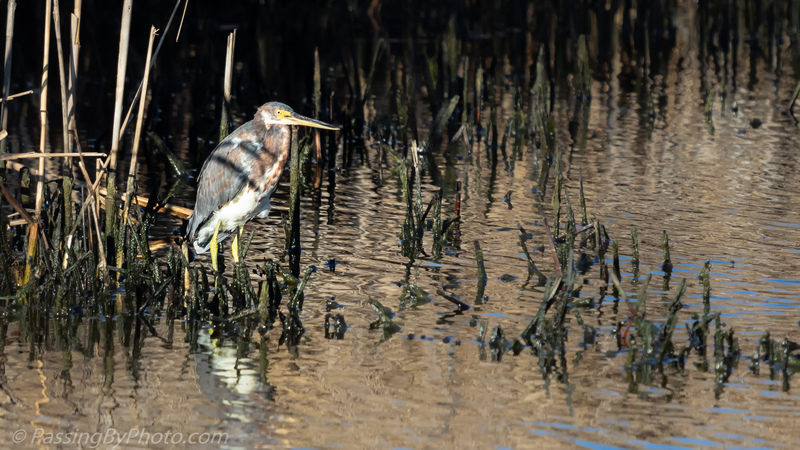 A few Tricorlored Herons had tucked down into a canal, away from the fray of the other birds. 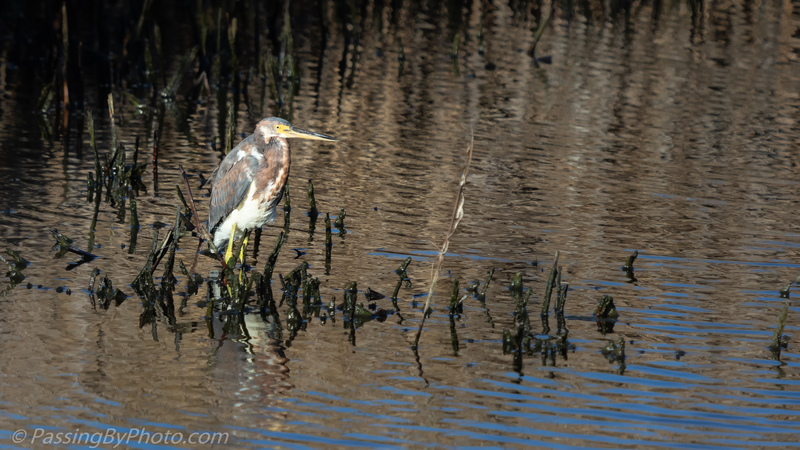 This one wasn’t even hunting, just soaking up the morning sun. 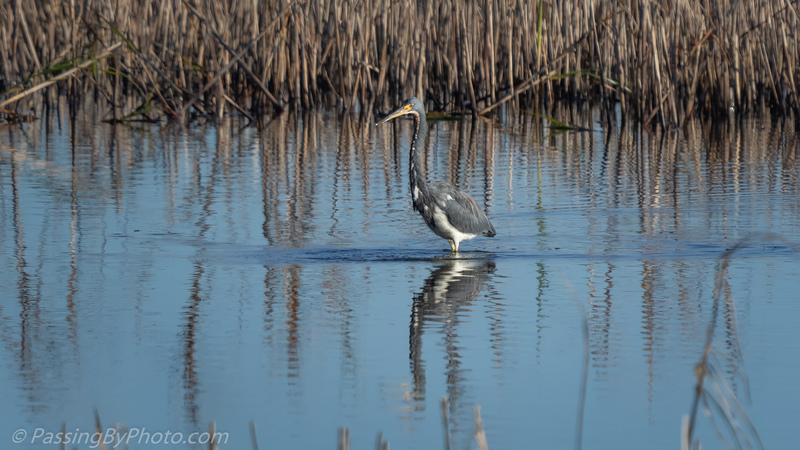 In a little more open area another Tricolored Heron was hunting, creating rings in the water as he walked slowly along. Meanwhile, while I was watching number two, Heron number one had moved out away from the bank a bit but was still in the same stance. I missed what had caused him to move.